Food is always the answer, so pick up one of these unique bouquets for your Valentine! Valentine's Day is a very special day to show your significant other how much you care! Why be traditional when you can surprise them with something different -- a food bouquet! Check out our five favorites. Reese's are the ultimate peanut butter and chocolate combination, hands down! 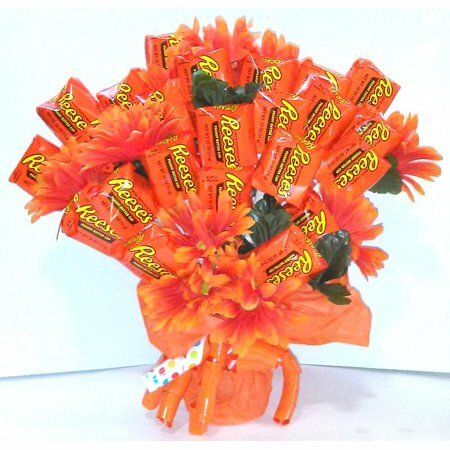 Walmart recently announced that they are selling the Reese's Extravaganza Chocolate Bouquet just in time for Valentine's Day, and it comes with 54 single Reese's cups combined with faux orange flowers. Just look at this gorgeous combination! To share or not to share -- that is the question! The bouquet can be found at Walmart for $44.99 here! Fruit and chocolate -- can you think of a better combination? The "healthier" bouquet is for the fit woman or man in your life that likes just a little bit of sweetness. There is nothing better than getting chocolate-covered strawberries for Valentine's Day! So fancy! 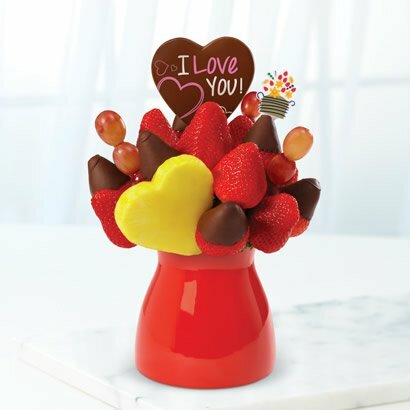 This bouquet can be found at Edible Arrangements for $54.99! Can be shipped anywhere in the U.S.
We can't forget the guys, right? This is the perfect bouquet for the meat-lover in your life! 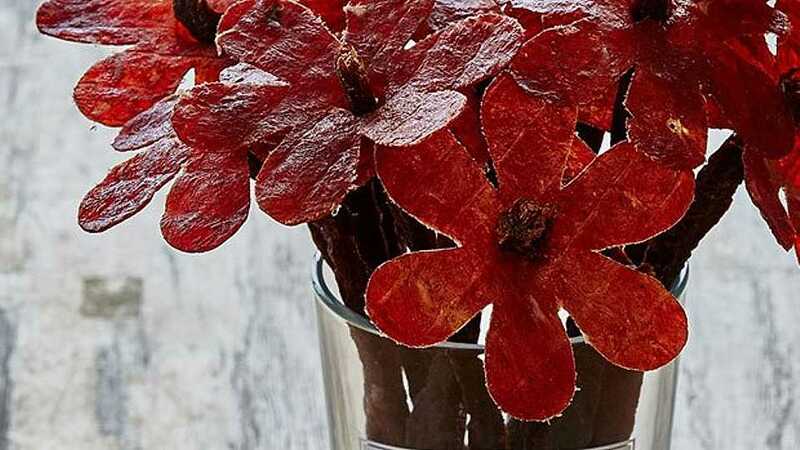 Who says you can't have a bouquet of flowers made out of beef jerky? We say you can! 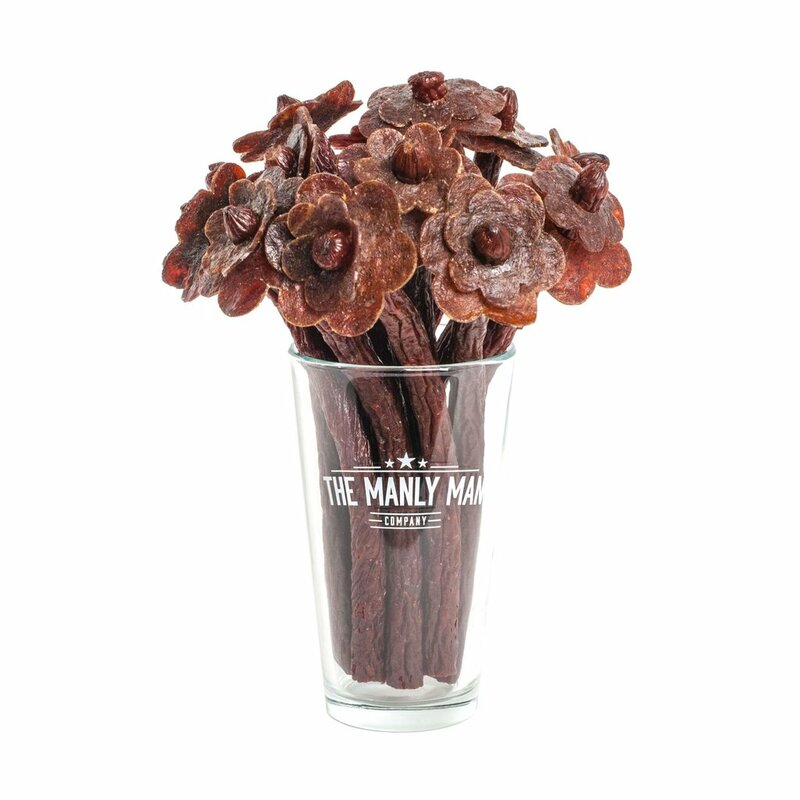 The Beef Jerky Floral Bouquet can be found at Manly Man for $49! A Dog Cookie Bouquet? 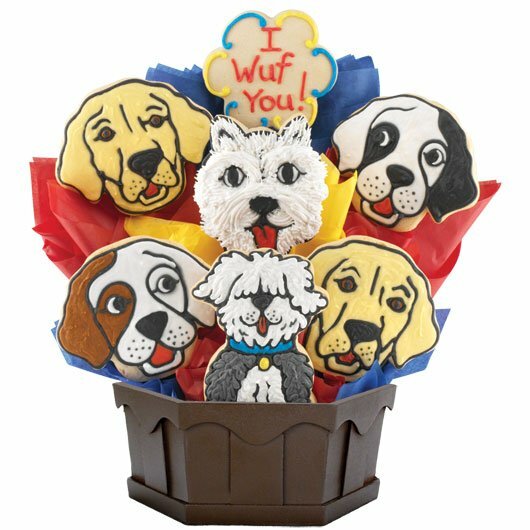 Cookies By Design released the Puppy Love Cookie Bouquet for the dog-lover in your life! The adorable cookies come in different breeds, from a lab to a beagle, and in three different price points -- 5 for $47.99, 7 for $59.99, and 12 for $94.99! Place your order here! 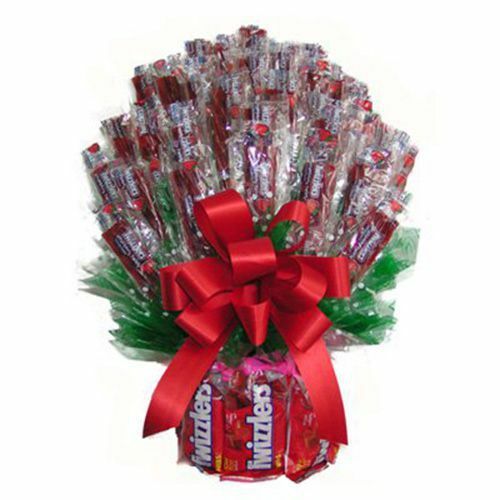 Switch things up a bit by taking a break from chocolate and getting a Twizzlers bouquet! Check it out here at Walmart for $67.99! Your Valentine will love you forever with one of these unique options! Flowers are great and all, but you can never go wrong with a food bouquet! Have you seen other creative bouquets? Tell us about them in the comments!